Alt-electro pioneers Empire Of The Sun have announced a live show at the Roundhouse, marking the bands first UK appearance since 2013. 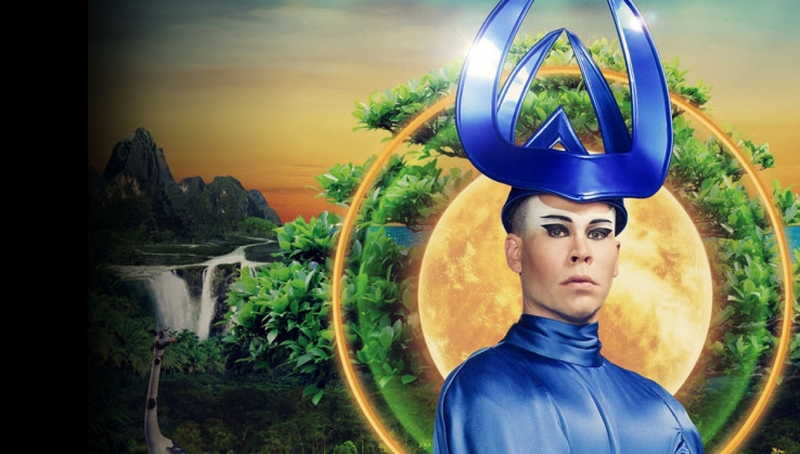 Empire Of The Sun recently invited us into their trippy garden of unearthly bliss with the new video for single High & Low, taken from the forthcoming third studio album, Two Vines. Recorded in Hawaii and Los Angeles, Two Vines is co-produced by Empire Of The Sun and Peter Mayes (Sia, The Killers, Mika), alongside long term collaborator, Donnie Sloan (Midnight To Monaco) and it sees the creative circle expanding, with esteemed pianist/arranger Henry Hey and bassist Tim Lefebvre, from David Bowie’s Blackstar band, featuring heavily on the album. Factor in Wendy Melvoin from Prince’s Revolution and Fleetwood Mac’s genius guitarist/vocalist Lindsey Buckingham, and the Empire’s rainbow has never been so vast and colourful. Maximum 6 tickets per customer.